The popularity of Slovenia has increased exponentially over the past decade. Native Slovenian Vera loves sharing about her homeland. In this post she addresses what to do in Slovenia including the best sights and how many days to give each destination. 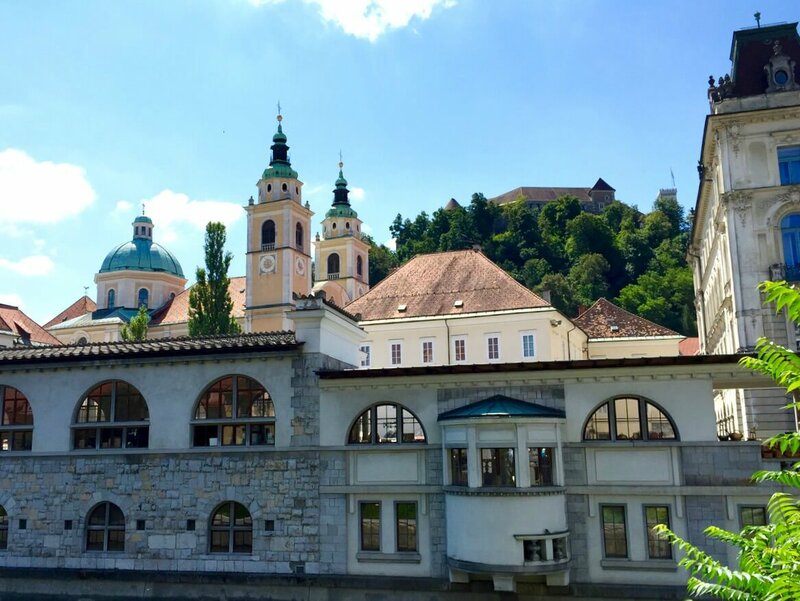 These are her greatest tips to help get your Slovenia itinerary started. The good news is that Slovenia is small so it is possible to cover much of its territory in a relatively short time. Staying in its capital, Ljubljana, which is roughly in the middle of the country, provides a great base for day trips to both the mountains and the coast. The bad news is that Slovenia packs a ton of diversity in its tiny territory and allowing yourself only one to two days to see it all won’t do the country justice. The top tourist spots include the Ljubljana castle, the Three Bridges and brightly colored Franciscan church which stands behind a small square with a statue of Slovenia’s most important poet, Prešeren, and perhaps the outdoor market touching Ljubljana’s Cathedral on one side and Ljubljana’s river on the other. Yes, you could see it “all” in a day, but try not to rush through Ljubljana. With the entire city center reserved for pedestrians, much of the Ljubljana’s charm comes from slowing down and savoring it slowly, strolling the cobblestone streets of the Old Town and the banks of the Ljubljanica river. Take time to browse the local shops and their unique souvenirs. Toss a coin in one of the cute fountains. Stop to watch street performers or sit down at one of the many coffee shops alongside the locals. Take in the energetic, yet relaxed vibe of the city. A great way to tour the Old Town and sample some fantastic traditional and contemporary Slovene cuisine is to sign up for a food tour with Ljubljananjam. In the warmer months, there are cultural events almost every night and every Friday part of the open market transforms into Odprta Kuhna, an open food festival. Stop by the tourist office near the Three Bridges to get a schedule of current events or sign up for one of their tours. For those who are interested in architecture, there is a great walking tour celebrating, Jože Plečnik, the most important Slovene architect who had a significant impact on the city, similar to Gaudi in Barcelona. If traveling with kids, consider a self-guided scavenger hunt. Find all five of the bridges in the Old Town and learn their interesting and perhaps unusual names. Start with the Dragon Bridge, then proceed to the Butcher’s Bridge (hint: bring a lock to leave behind), cross all three of the Three Bridges, then proceed to the modern Fisherman Footbridge and end at the Cobbler’s Bridge. (Make sure to make a few stops for gelato along the way. It is excellent)! For a different perspective of the city, hop on a river boat which travels under each of the bridges and teaches a bit of Ljubljana’s history along the way. 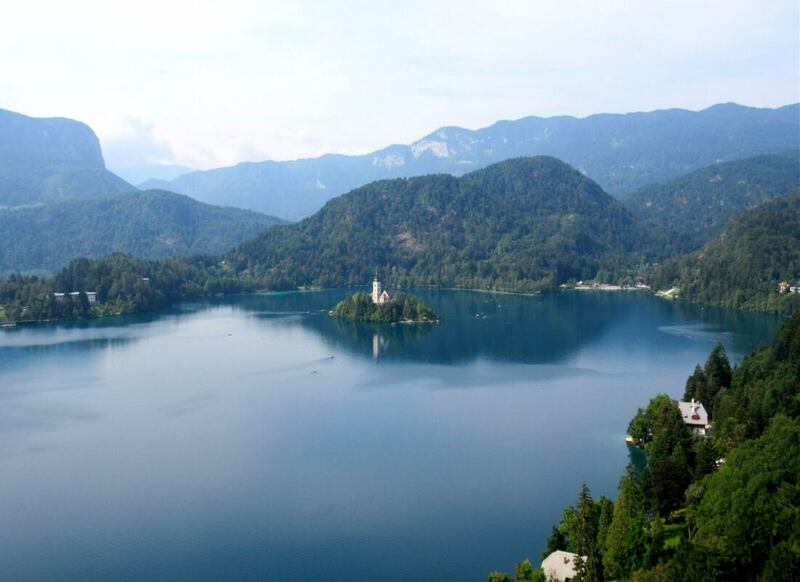 After visiting the capital, most tourists head to Lake Bled, which is about a one hour drive north of Ljubljana. It is also one of the most famous tourist destinations in the country known for its castle in the middle of a lake. There is also a striking castle on the cliff overlooking the lake, which will give you the best views and Instagram photos of the area. There are two stops I recommend before reaching the the town of Bled. The first is the Beekeeping Museum in Radovljica, where you can learn about the art of beekeeping (a very important tradition in Slovenia) and buy some delicious honey as a sweet souvenir to bring home with you. The second stop is the Vintgar Gorge, a steep and narrow canyon, which will charm you with its pristine nature and lively clear blue river. 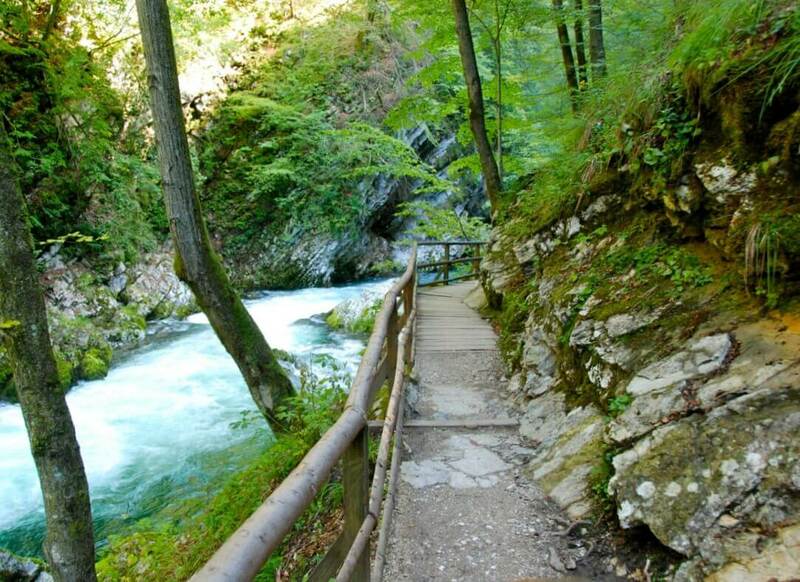 Follow the path on an adventurous trail which is partly carved into the rock and partly constructed of wooden bridges, all ending at a waterfall. For more adventures, the Slovene Alps offer an infinite number of possibilities from easy hikes to strenuous climbs that require serious skills and preparation and a million options in between. Many can be a done as a day trip from Ljubljana, but if you have more time, I highly recommend heading to Triglav National Park or Velika Planina and staying overnight in a mountain hut (I love Kekčeva Domačija close to Bovec or try glamping by Bled). 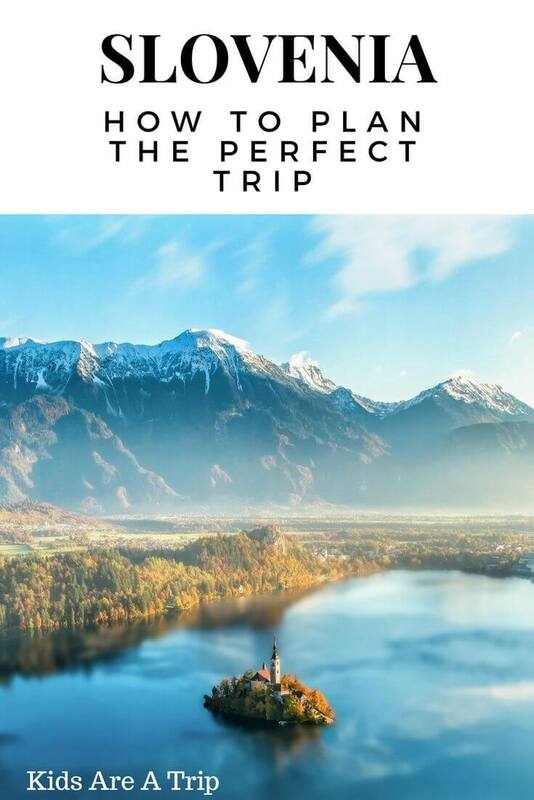 The area is simply stunning and in addition to exhilarating hiking, you can visit several majestic waterfalls and small lakes, try white water rafting on the Soča River or stop by a mountain farm to sample homemade sheep cheese or enjoy typical Alpine cuisine. For a complete change of scenery, a little more than an hour’s drive from Ljubljana towards the southwest will bring you to the Slovene coast. It may be small, but its charm makes up for the size. 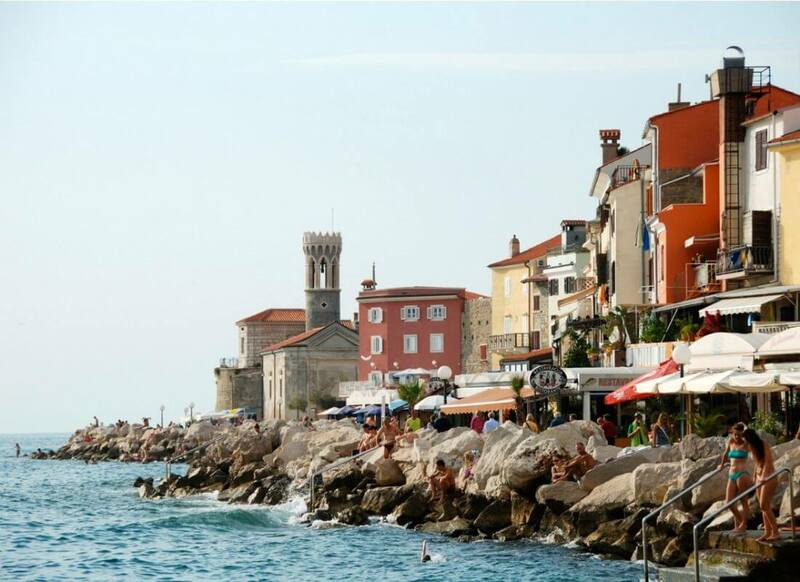 My favorite place in the region is Piran, a highly picturesque town with Roman architecture. 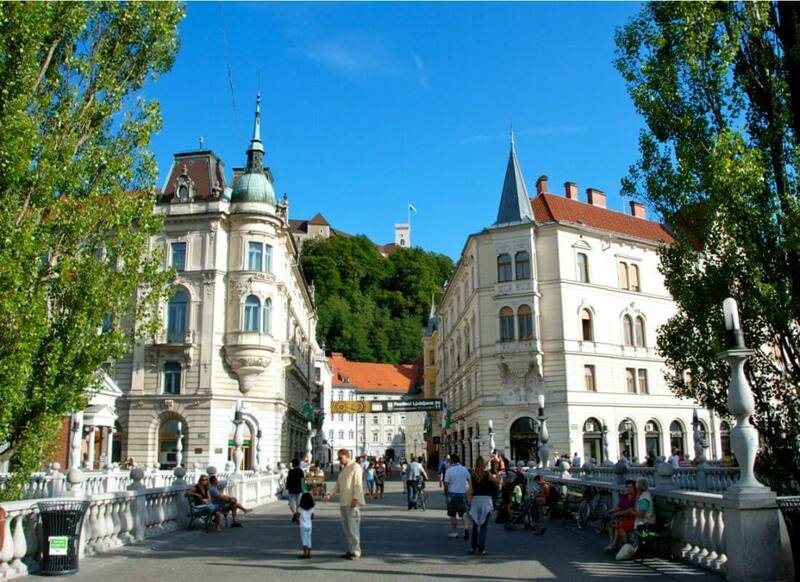 Similar to Ljubljana, it is meant to be taken in at a leisurely pace. 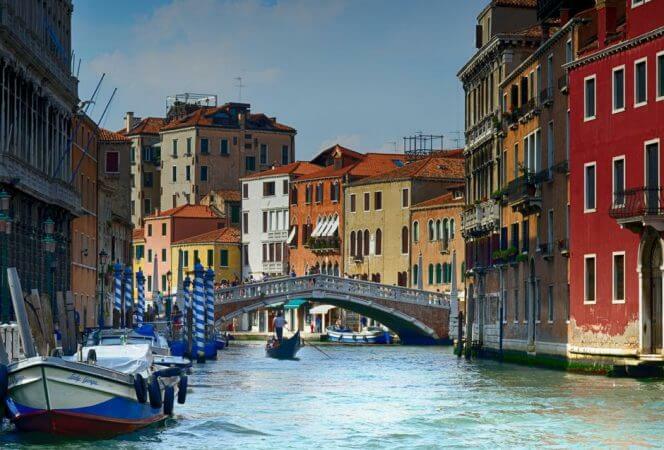 I love its pretty marina, narrow streets around Tartini square and colorful houses with cute balconies, wooden shutters and laundry, hanging from windows. If your kids would enjoy the self-directed bridge scavenger hunt in Ljubljana, there is another opportunity in Piran: stop by the Piran Tourist Office and get a flyer with questions you can only answer after visiting a few attractions around the town. When finished, turn it in for a small prize. Piran has a few small, but unique museums and several lovely art galleries, but personally, the best part is the church of St. Gabriel. After you catch your breath from an uphill walk to the church grounds, don’t even think about skipping the climb to the top of the church tower! Yes, the stairs are steep, narrow and unstable in parts, but when you see the stunning views which span Croatia and, on the opposite side, Italy, you will thank me. I suggest spending the rest of the day in Punta, the very tip of the town, where you can walk along the ocean break wall made from giant rocks or even go for a dip – you are on the coast after all. Finish the day with an outdoor seafood dinner at one of the restaurants along the small beach promenade and a lovely sunset. Punta is meant for relaxation. With more than one day, I recommend making two stops before reaching the coast on the way from Ljubljana. Slovenia’s Karst region is known for its many limestone underground caves. The most well-known and truly spectacular is in Postojna, which also has a majestic castle built in the rock nearby. If you love horses, I suggest the second stop be in Lipica, a world-famous stud farm and the origin of the white Lipizzan horses. This will only allows for an afternoon or evening in Piran, so stay overnight in either Piran or nearby Portorož. The latter is less quaint than Piran, but it has several modern hotels and restaurants. It also has a sandy beach which is a rarity on the Adriatic Coast. Spend the second day exploring the rest of town and visiting nearby Sečovlje, the largest salt evaporation pond in Slovenia for a fascinating lesson on how salt has been made from the ocean in this region for centuries, then sunbathe in Portorož in the afternoon before you making your way back to the capital. *All photos with the exception of the lead Pinterest image are courtesy of Vera Holroyd, Passports and Spice. If you’re looking for other information on this area, check out our posts on Venice, Split, and Dubrovnik.